Let users experience your content in a fully branded environment that fits your brand identity, and distribute it as a standalone, white-label app. Update your app content directly from our easy-to-use web CMS, and be assured that your media is delivered at the fastest possible speeds, worldwide, thanks to our scalable cloud infrastructure and CDN. Does your brand have a presence yet in the VR app stores? Headjack allows you to distribute your content in a standalone app branded to your liking. 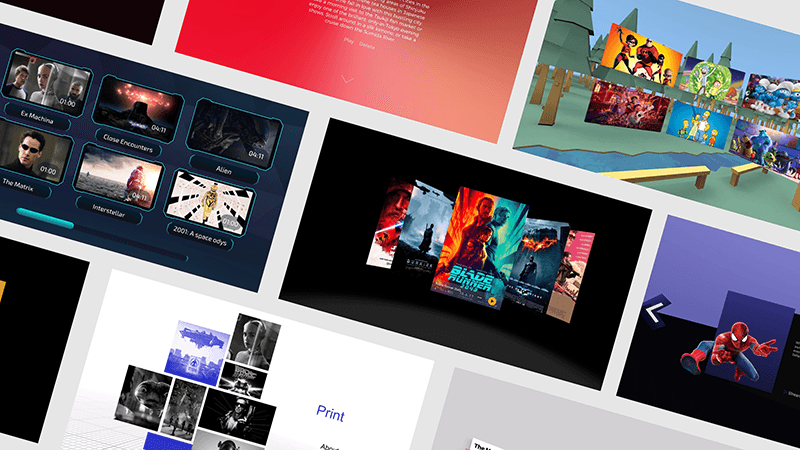 Apply your colors and branding assets to our templates, or create a completely customized app experience using our Unity integration. Go further than traditional 360º video platforms and tap into new audiences that own a VR headset. Track and analyze which content is most successful, which devices are used the most, and where your audience is located. Channel 4 reached users on all VR platforms. T-Mobile live streamed music festivals in 360º. SAP uses a Headjack app to recruit new employees. Let us handle the tricky parts of managing an app, so you can focus on what's important for you. Tell us what you need, and our team of experts will develop your dream app for you in no-time. Send us your content, and we will add it to your app and make sure it looks good on all devices. Reach a global audience across platforms by letting us submit your app to the various app stores. We can maintain your app once it is live, so it will keep working when new devices and updates are released. Let us show you how Headjack can help your brand thrive in VR.